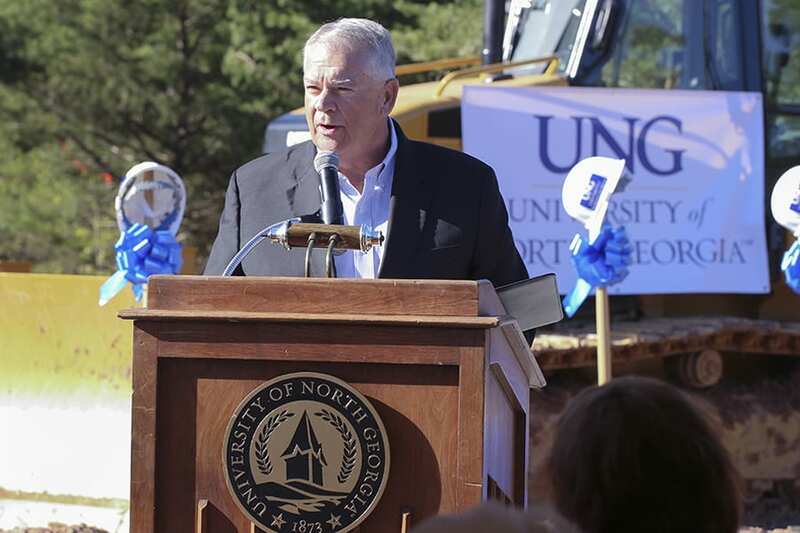 The University of North Georgia (UNG) broke ground Oct. 17 on a new standalone Blue Ridge Campus facility, with a host of state officials, community members and university representatives joining President Bonita C. Jacobs to mark the occasion. Georgia Speaker of the House of Representatives David Ralston. UNG established the Blue Ridge Campus in 2015 in response to a need for access to higher education that was identified through UNG’s Regional Education and Economic Development Task Force, a group of more than 100 business, education, government, and community leaders from northeast Georgia. The new location will further cement UNG’s efforts in the region. In 2012, the state launched the Complete College Georgia initiative based on a 2011 study by Georgetown University that indicates Georgia needs to add 250,000 postsecondary graduates to the state’s workforce by 2025. Census data indicate nearly half of the counties in UNG’s immediate service area have a college completion rate of less than 20 percent. 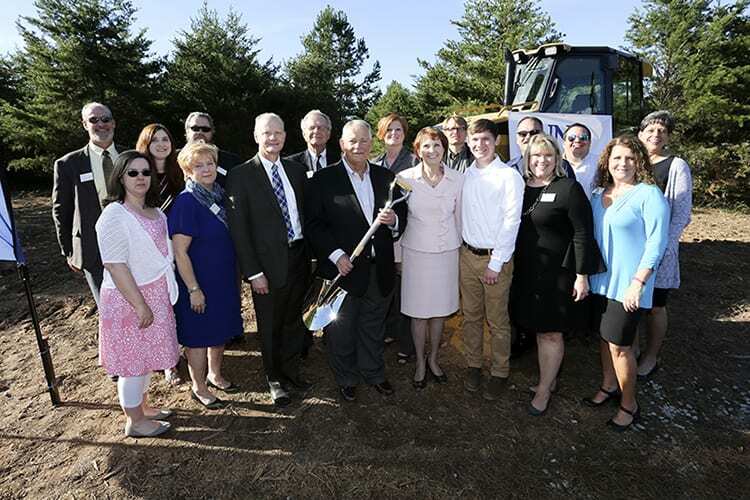 Representatives of the University of North Georgia, state officials and community members celebrated the groundbreaking of a new standalone Blue Ridge Campus on Oct. 17.